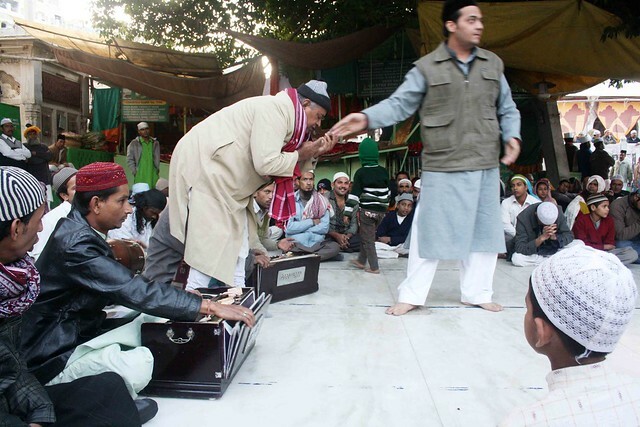 Delhi is the city of Sufis. 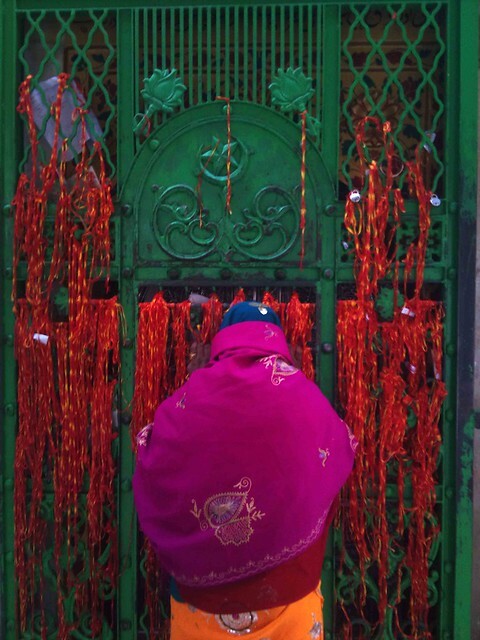 It is traditionally known as ‘Bais khwaja ki chaukhat’, the threshold of 22 Sufis. 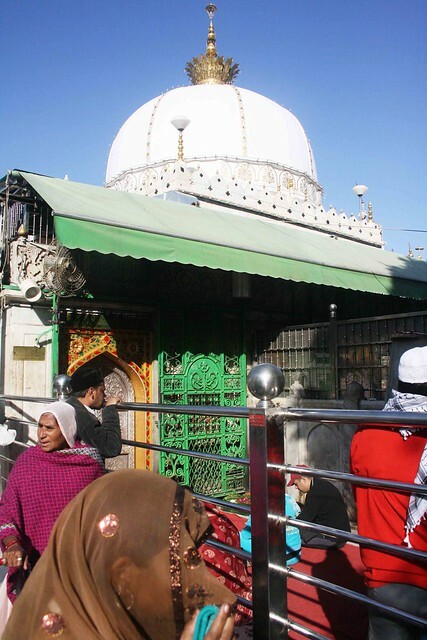 To understand the soul of this city, you must make a pilgrimage to a shrine, which is six hours away from the capital. 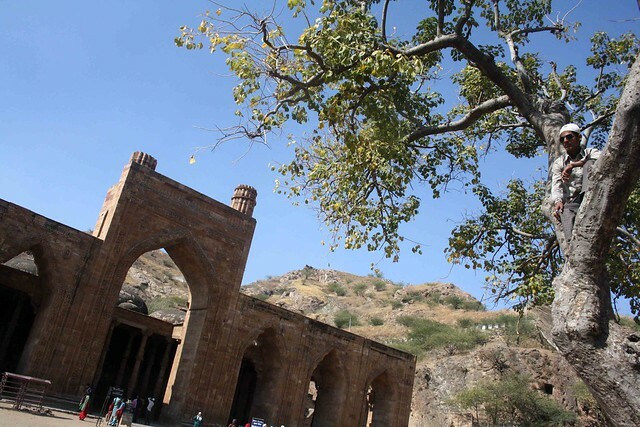 Take the Shatabdi Express to Ajmer, Rajasthan. 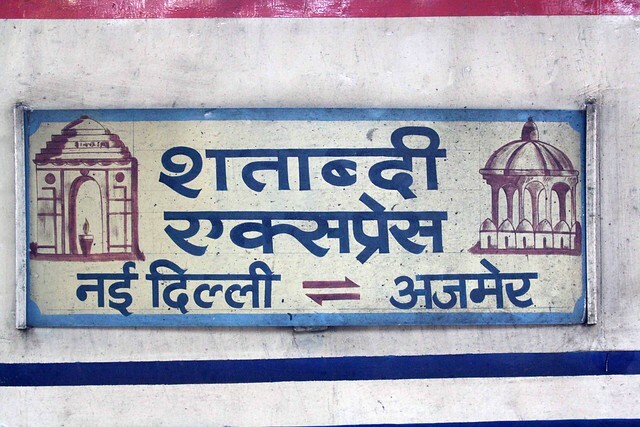 The train leaves from New Delhi station at 6 am daily. 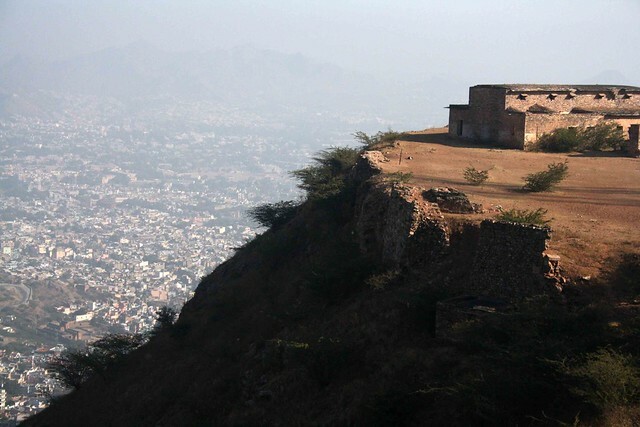 You reach Ajmer in the afternoon. 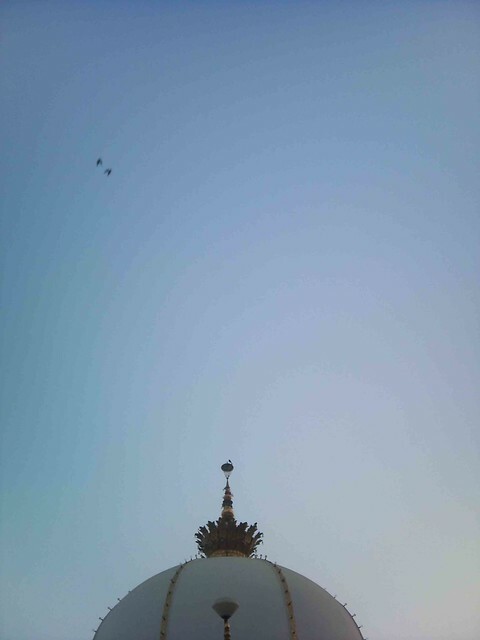 Get an auto rickshaw to the shrine. 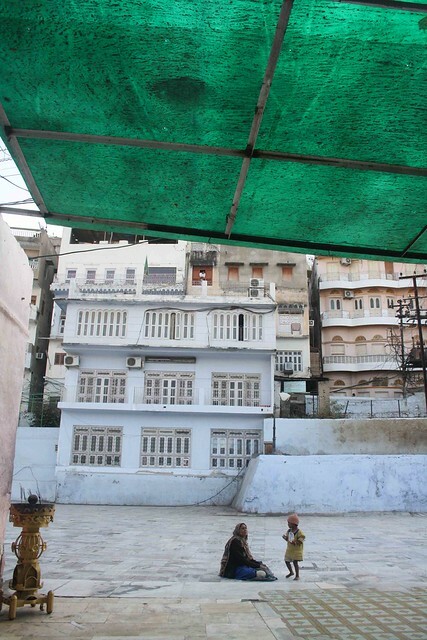 In June 2012, when Rajasthan’s desert winter has given way to the white heat of summer, the dargah will be filled with lamps. 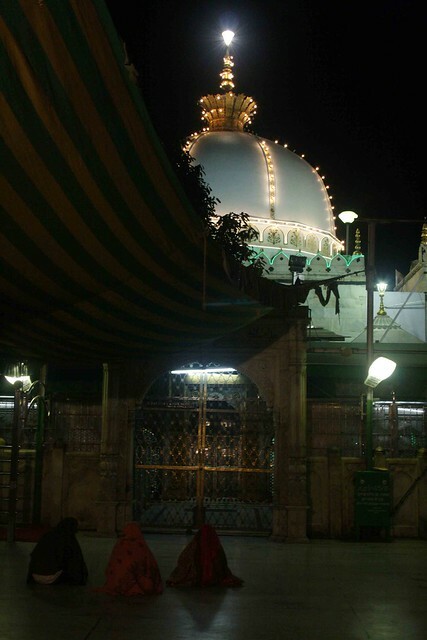 Its assembly hall, resounding with the sound of the qawwals’ harmoniums, will herald the 800th urs of Khwaja Moinuddin Chishti of Ajmer. 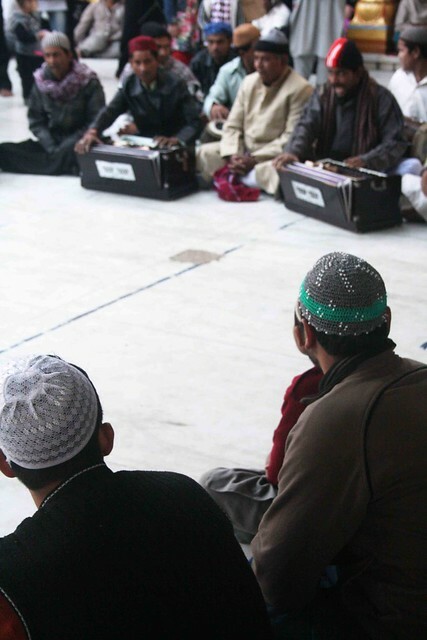 Smaller groups of musicians will draw their own listeners within the various courtyards and sama (a gathering listening to mystical verse) music will echo in the streets. 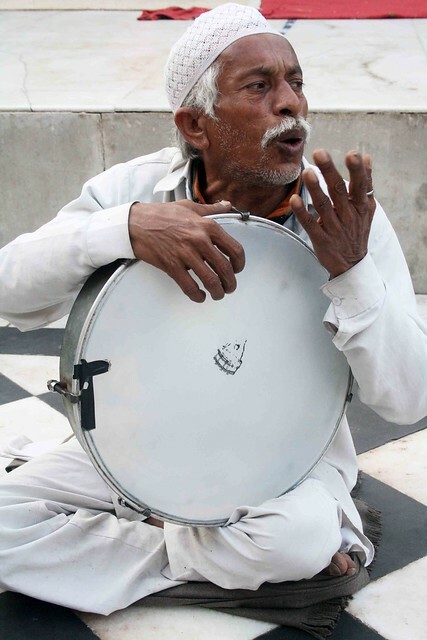 The terraces surrounding the dargah will come alive with their own qawwali gatherings and the last melodic strains will die only when the early morning prayer is called by the muezzin. 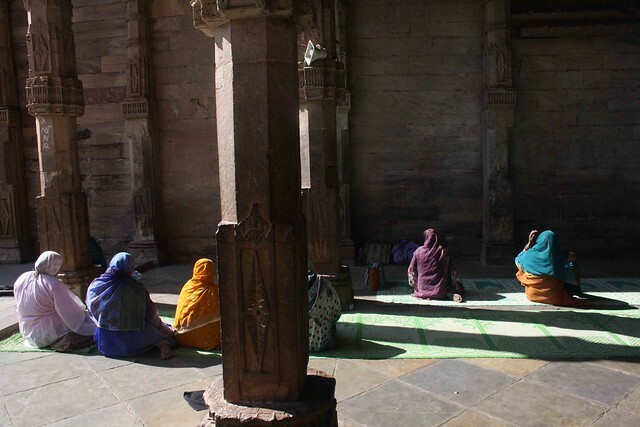 The world instead turned its attention to a city 120 km from Ajmer, where a protest by a handful of Muslims compelled the organizers of the Jaipur Literature Festival to cancel novelist Salman Rushdie’s video appearance in January 2012. 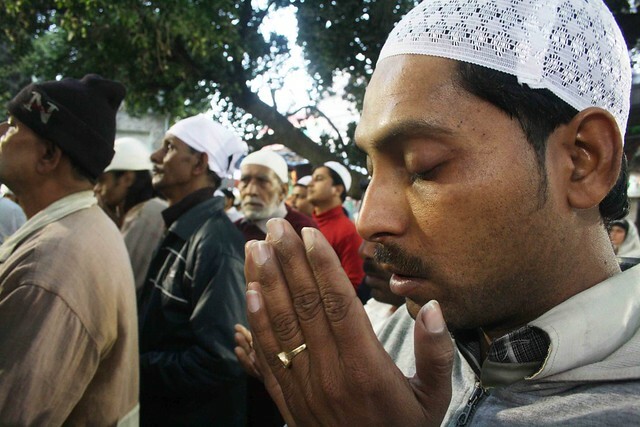 While all practising Muslims The Delhi Walla talked to expressed discomfort with Rushdie’s references to Islam in his banned novel The Satanic Verses, many pointed out that his case must not be used to judge the Muslim character and that the essence of India’s Islam lies in Ajmer. 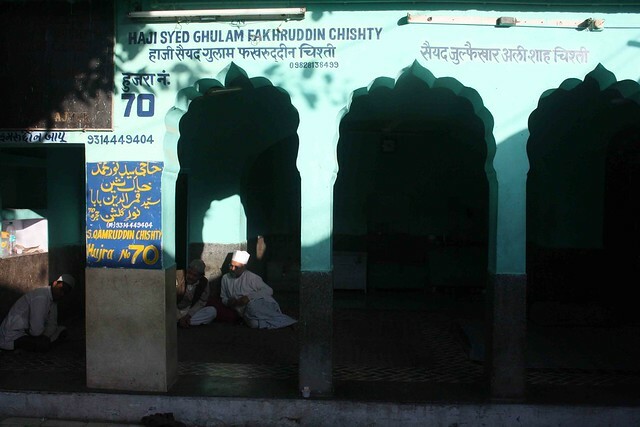 “Moinuddin Chishti’s dwelling place became a nucleus for the Islamization of the central and southern parts of India,” noted the late Annemarie Schimmel, an expert on Islam, in her book Mystical Dimensions of Islam. 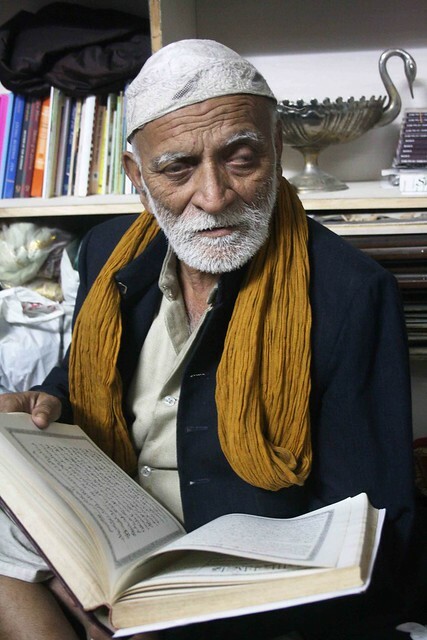 South Asia’s most revered Muslim, Moinuddin Chishti occupies a principal position in Sufism, the mystical aspect of Islam. 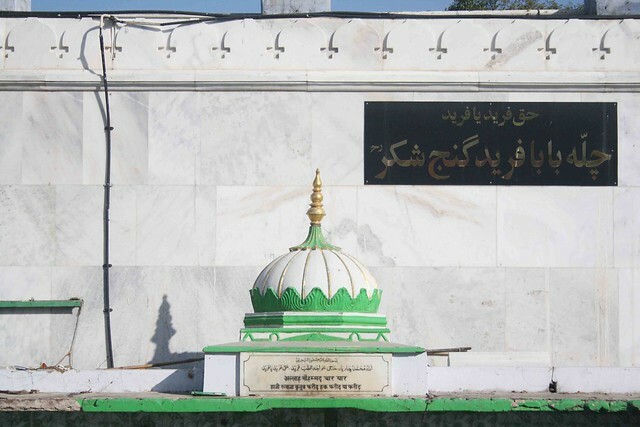 He established the Chishti silsila (order) in the subcontinent; its spiritual successors were Sufis like Khwaja Qutubuddin Bakhtiar Kaki of Mehrauli (south Delhi), Baba Farid of Pakpattan in Pakistan, and Hazrat Nizamuddin of Delhi. 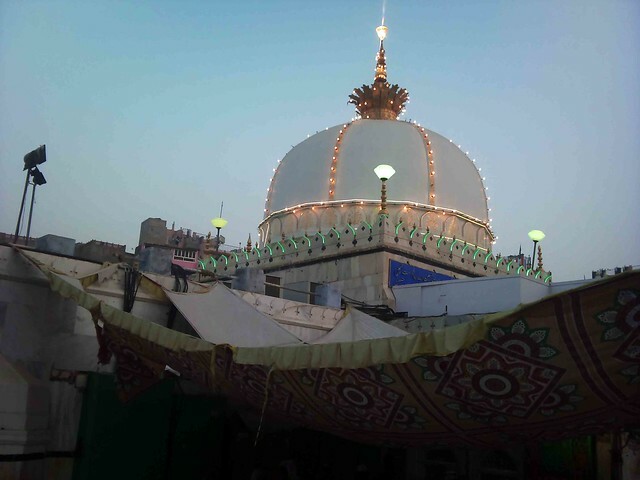 Known as Sultan-e-Hind and Gharib Nawaz, Khwaja Moinuddin Chishti—khwaja meaning “master” in Persian—is visited by millions each year. 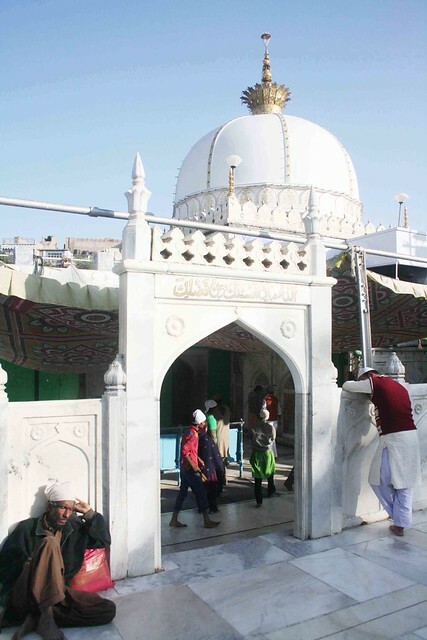 Since no contemporary account of him has survived, Moinuddin Chishti’s life is depicted through a series of legends. 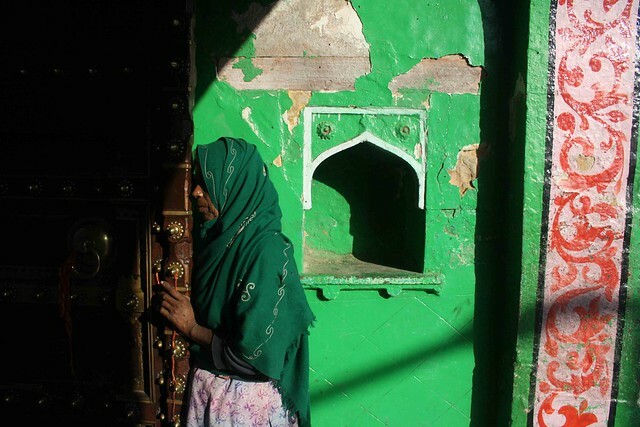 “Ajmer is the little Medina,” says Sadia Dehlvi, author of The Sufi Courtyard: Dargahs of Delhi. 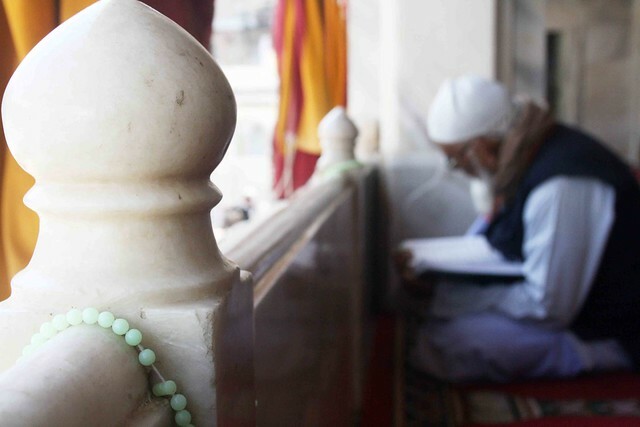 “Sufism is about making linkages to God through his friends. 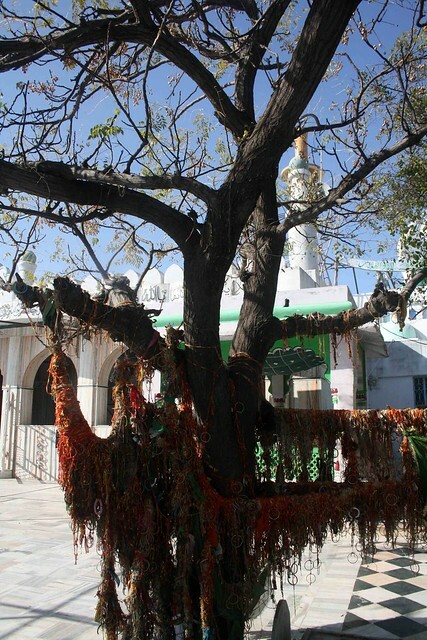 In Medina, there is the spiritual presence of Prophet Muhammad. 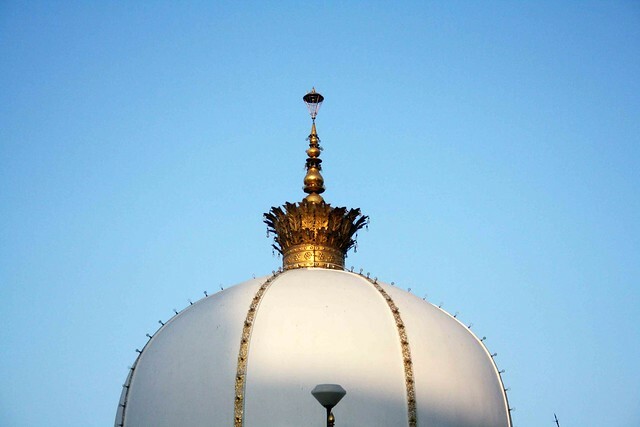 In Ajmer, one experiences the same closeness to God, for Khwaja sahib is a direct descendant and lover of the Prophet,” says Ms Dehlvi. 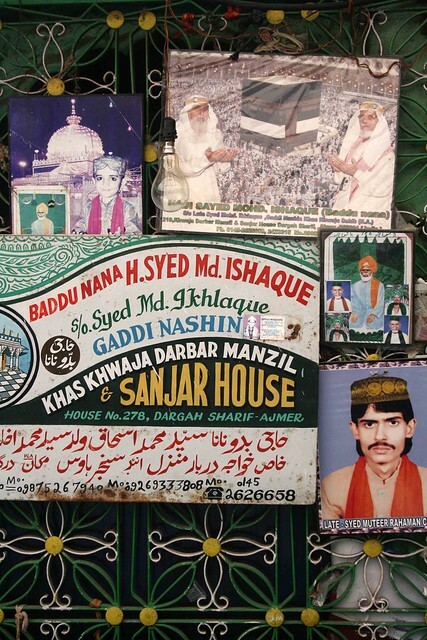 Outside Ajmer, the news from the world of Sufis is not only about sama, fanaa (dissolution) or the chartbuster film song Kun Fayakun. 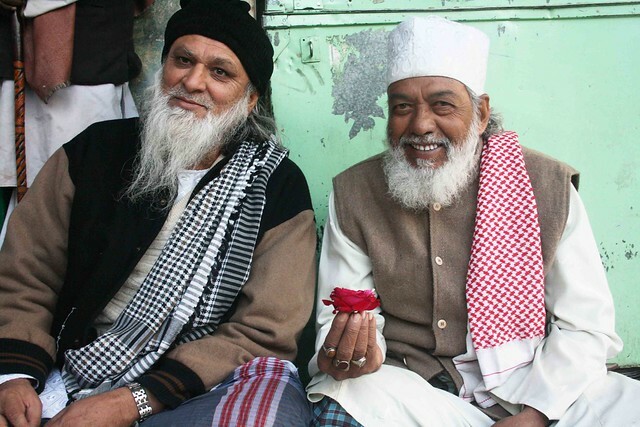 South Asia’s Islamic community is largely composed of the Barelvis and Deobandis, both named after towns in Uttar Pradesh. 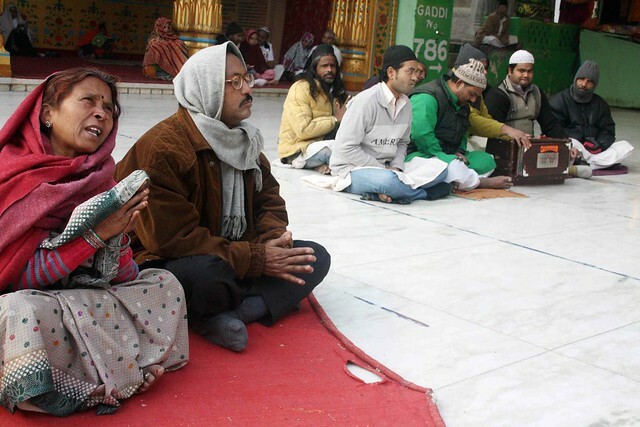 The former, who have their theological school in Bareilly, are followers of Sufism, while the orthodox jurists in Deoband are against the concept of intercession to God through saints. 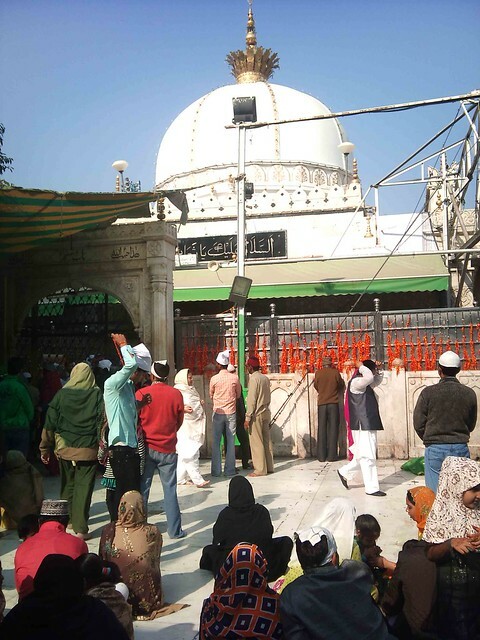 In November 2011, Deoband passed a fatwa against celebrating the Prophet’s birthday, calling it un-Islamic, an occasion traditionally held with great fanfare in Ajmer and other dargahs. 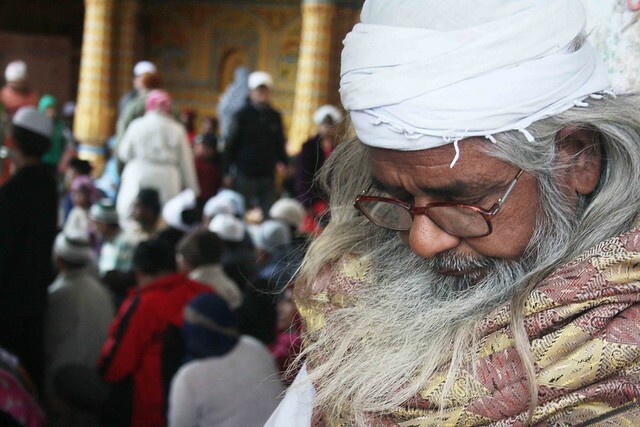 “Sometimes even Deobandis come here to seek the Khwaja’s blessing,” says Syed Anwar-ul-Haq Chishti, an elderly khadim sitting cross-legged in the Ajmer dargah. 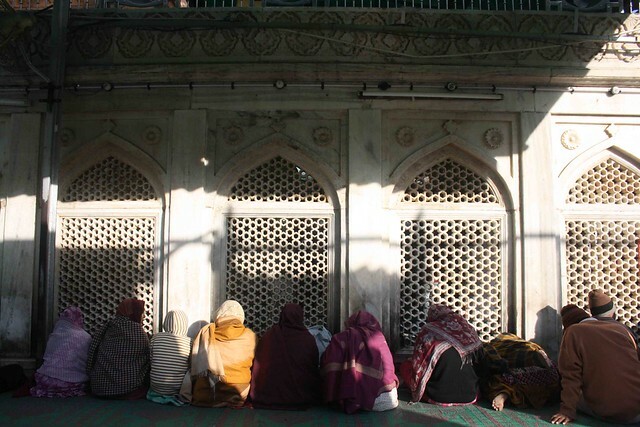 A long queue is forming for the sunset ceremony of Dua-e-Roshni (prayer of lights). 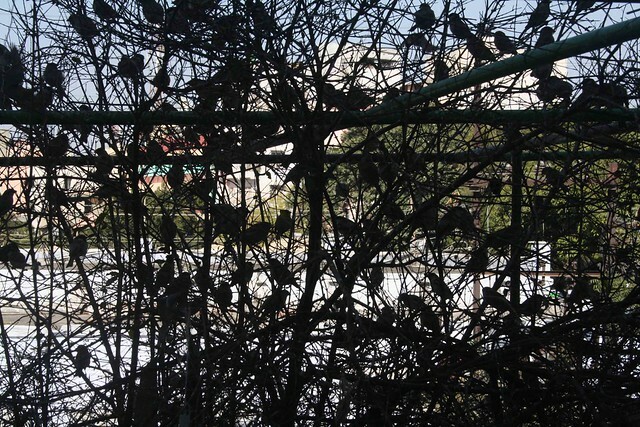 Each evening as khadims carry large yellow candles to the durbar, the tomb-chamber, hundreds of birds suddenly land on the branches of the mursali tree. 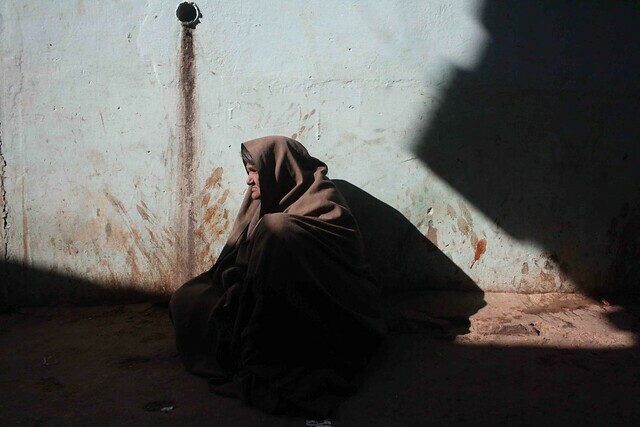 Little else is heard in the courtyard except for their chirping. 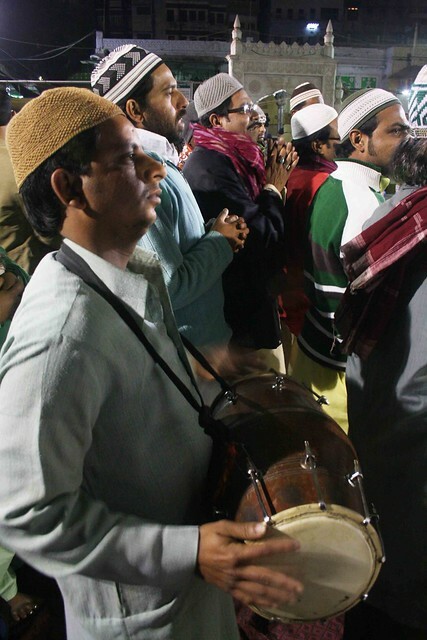 As the drummer strikes, the candles are lit amid the chanting of a Persian invocation to Gharib Nawaz, acknowledging him as the foremost friend of God on the face of the earth. 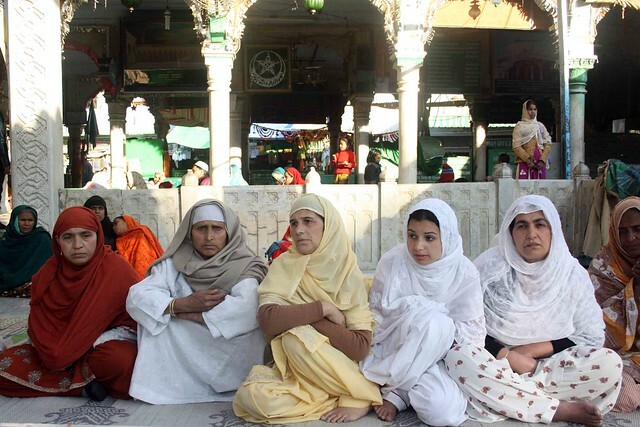 Although people of all religions visit Ajmer Sharif, its daily rituals revolve around the five mandatory prayers of Muslims. 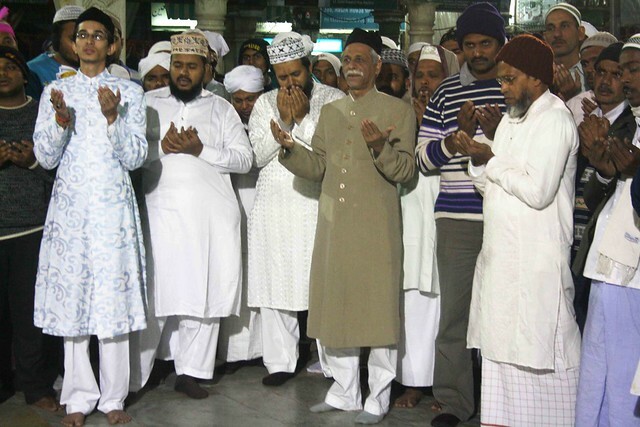 This is not surprising since Moinuddin Chishti was one of the pioneers of Islamic mysticism in the subcontinent. 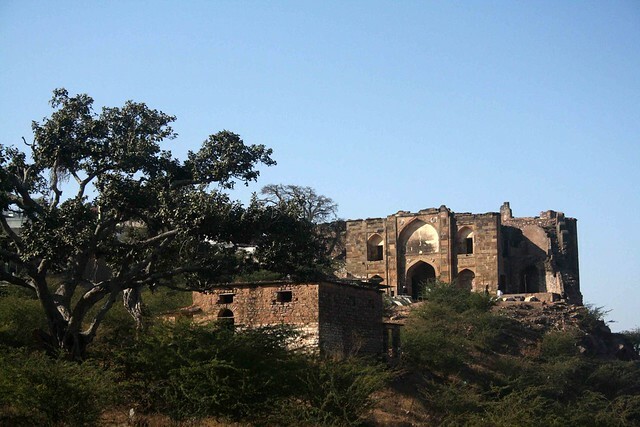 His arrival from central Asia in 1192 coincided with the conquest of India by Muhammed of Ghor, who defeated Prithviraj Chauhan, one of the last Hindu kings to rule Delhi. 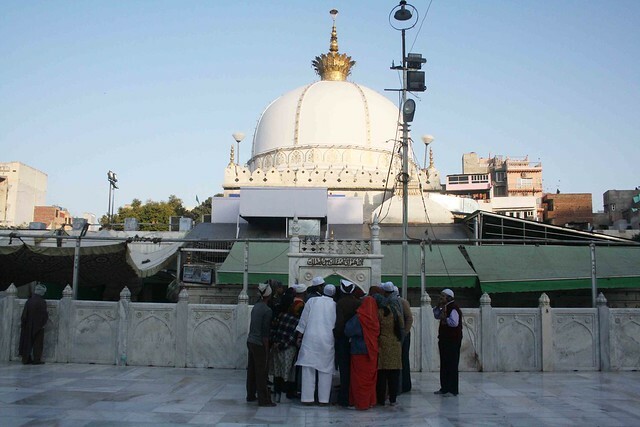 After settling in Ajmer, a Hindu pilgrimage town close to the holy lake of Pushkar, Moinuddin Chishti won the respect of both believers and non-believers. He lived in the cell in which he lies buried. 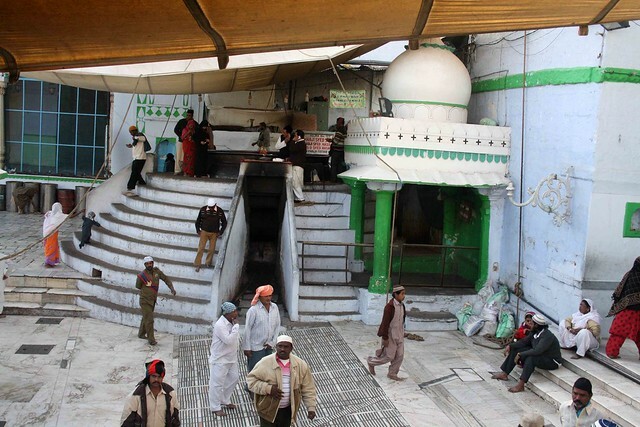 The tomb is built over a series of cellars which, according to The Shrine and Cult of Mu’in al-din Chishti of Ajmer by P.M. Currie, might have formed part of an earlier temple. 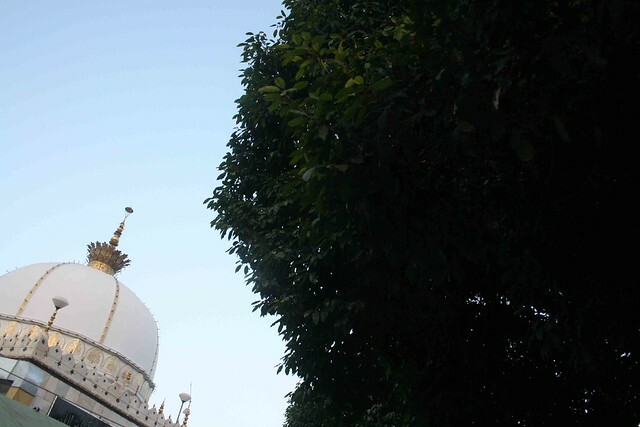 Fifteen minutes away from the dargah is the majestic Adhai Din Ka Jhonpra mosque situated in the foothills of Taragarh. 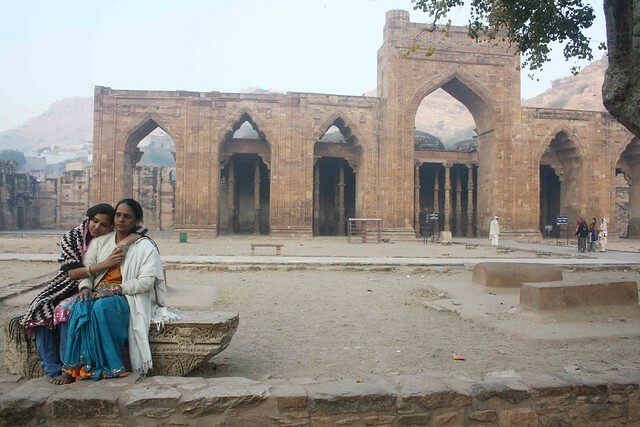 One of South Asia’s earliest Islamic structures, its outer walls are sculptured with the Kalimah (“the word of Islam”). 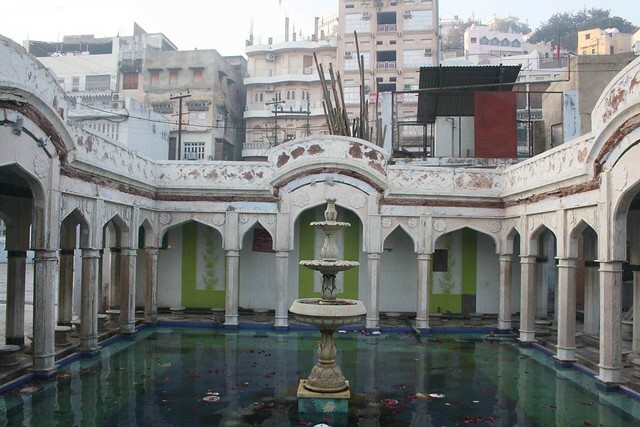 The monument, now overlaid with graffiti, includes crude sketches of peacocks on the stone floor. 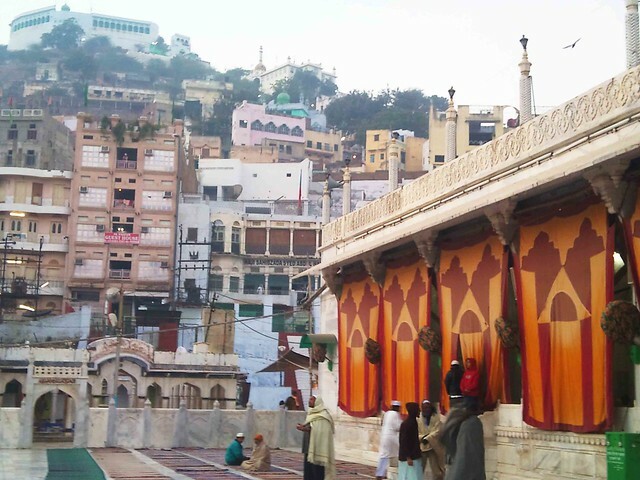 Indifferent to the discords of the past, goats meander along with pilgrims who stray from the dargah to sightsee. 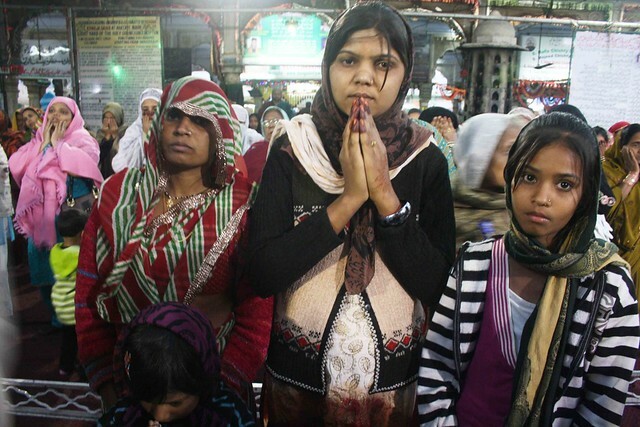 Only a few offer prayers at the mosque here. 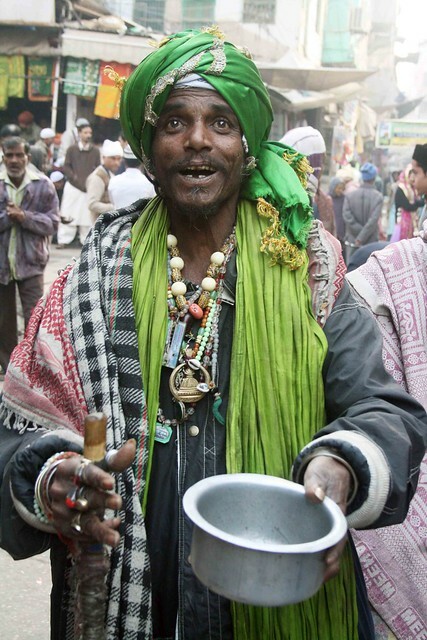 The food cooked in the dargah’s giant copper cauldrons, distributed after the morning and evening prayers, is always vegetarian. 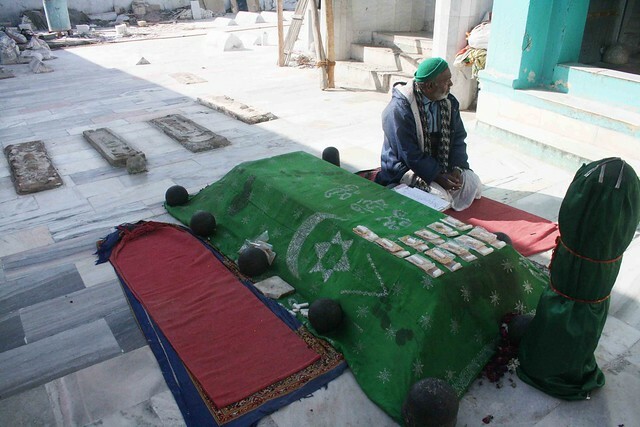 In 2010, the dargah of Baba Farid in Pakistan, another saint of this Sufi order, was bombed. 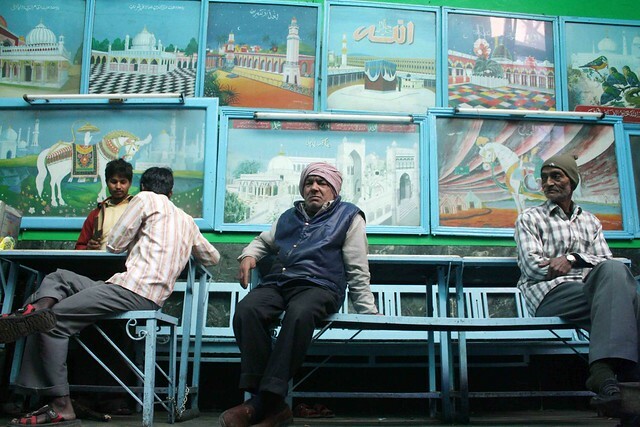 As with most places in India, the bazaar in front of the dargah is a world of contrasts. 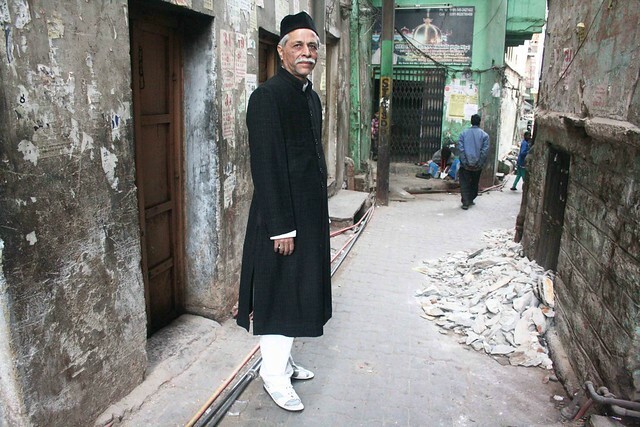 Immaculately dressed men in crisp white salwar-kurta walk beside open drains. 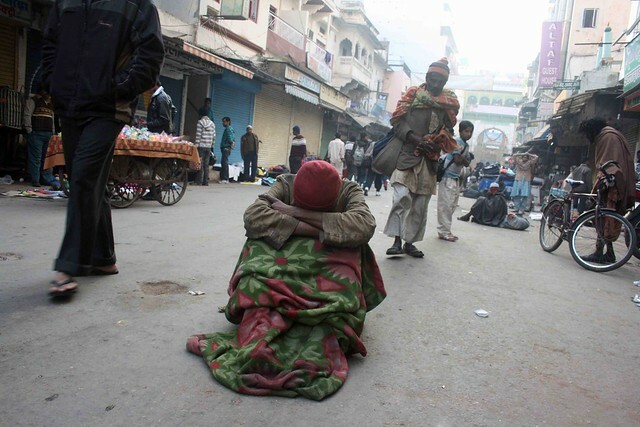 Beggars line the road that leads to the shrine of the patron of the poor. The alm-seekers might not have money for clothes but their bowls are filled with chameli garlands. 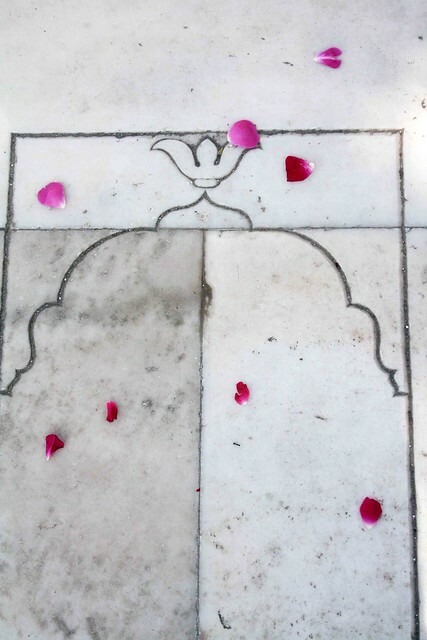 Plastic flowers decorate the tongas that go as far as the Khwaja’s chillah, the hilltop cave where he meditated. 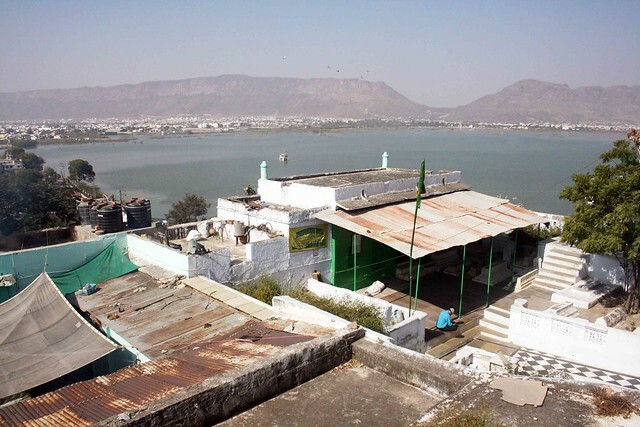 Overlooking the Ana Sagar lake, the chillah is deserted. 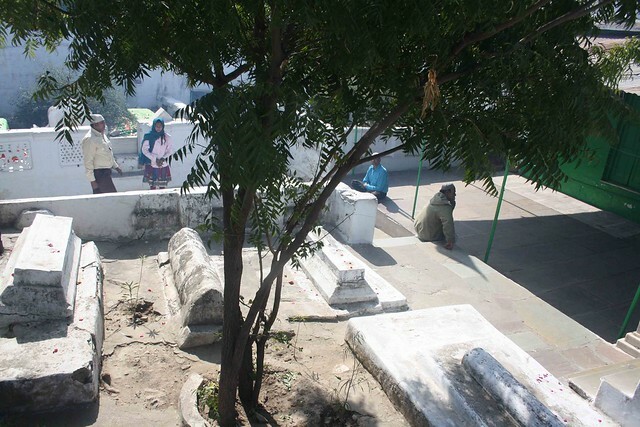 Cats prowl beside tombs. 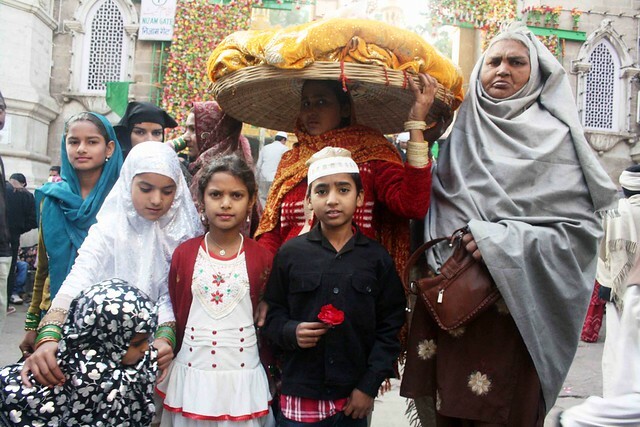 A stall offers amulets and booklets on Ajmer Sharif. 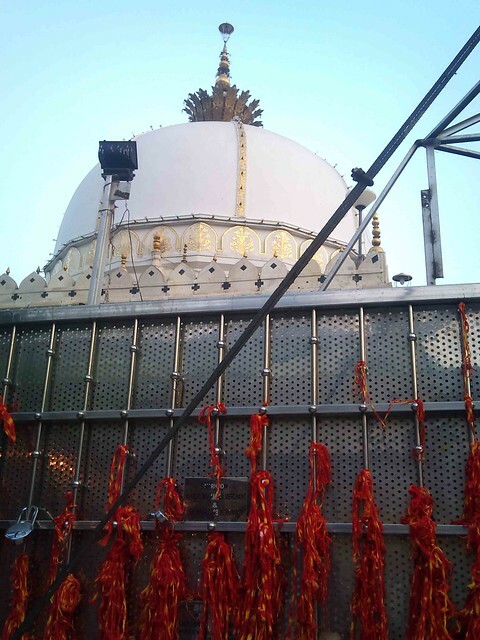 During urs, the durbar is closed at a later hour. 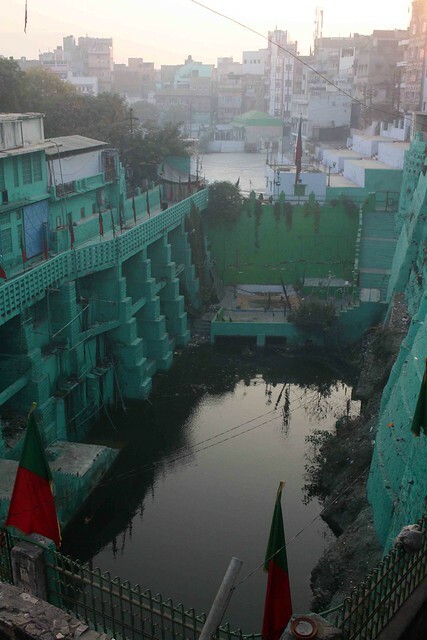 One week earlier, a green and red flag is hoisted on the Buland Darwaza gateway to signal the arrival of the festival. 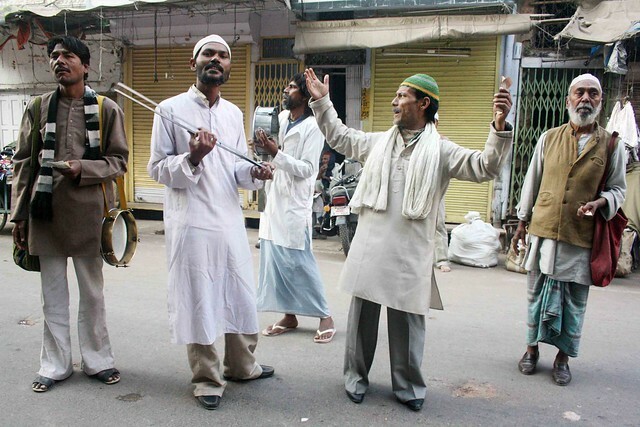 By then malangs (non-conformist Sufis), fakirs (ascetics) and qalandars (non-conformist Sufis) from all over India are midway to Ajmer, walking. 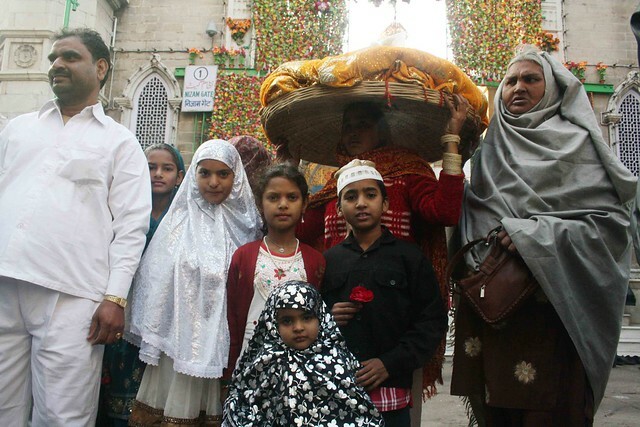 They assemble at the dargah of Khwaja Qutubuddin Kaki in Mehrauli, Delhi and from there walk to Ajmer Sharif, a journey that takes 17 days. 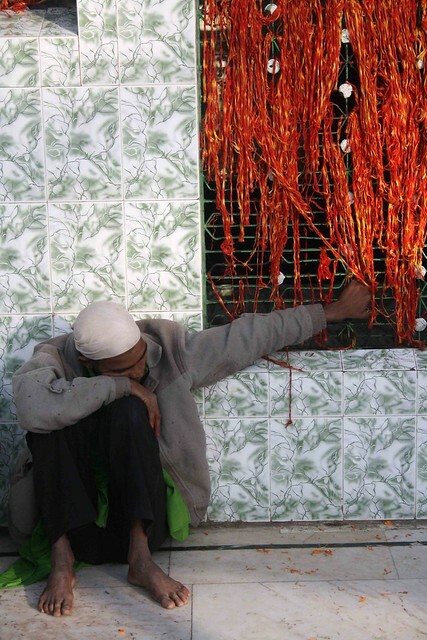 The nine-day urs begins after the sunset prayers, for the Islamic day changes at the twilight hour. Attending it is not easy. 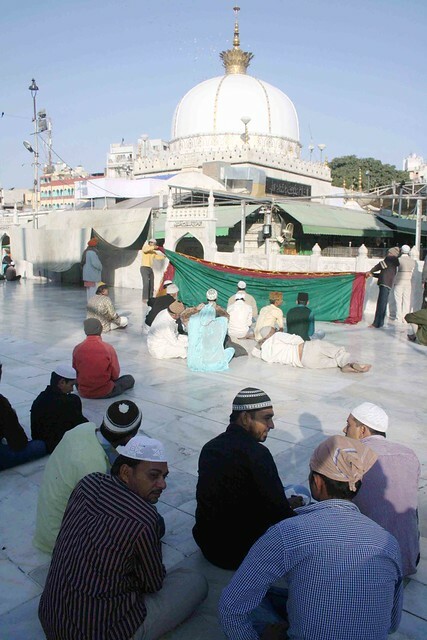 Ajmer is packed far beyond its capacity. The lanes overflow with a sea of humanity. 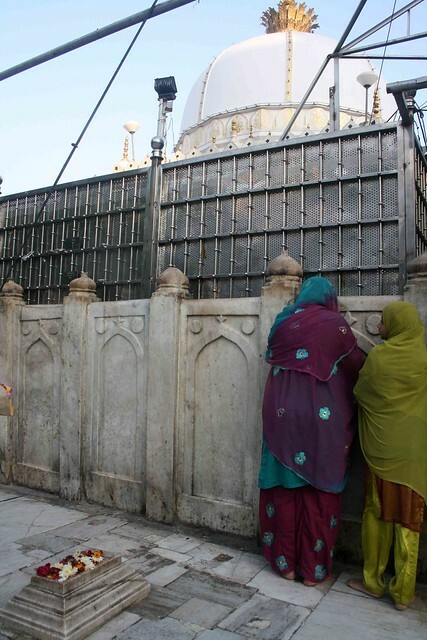 People queue for hours to enter the durbar to touch the Khwaja’s tomb. 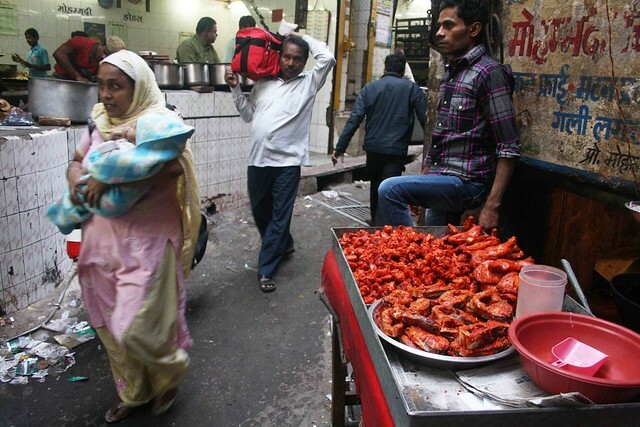 From large hotels to roadside guesthouses, every place is occupied. 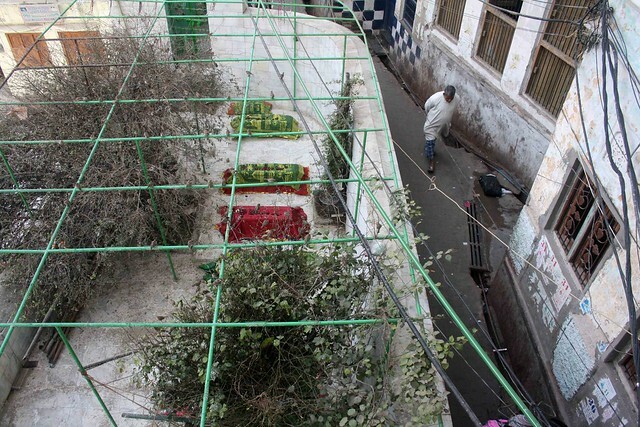 Verandas too are taken over by beds. 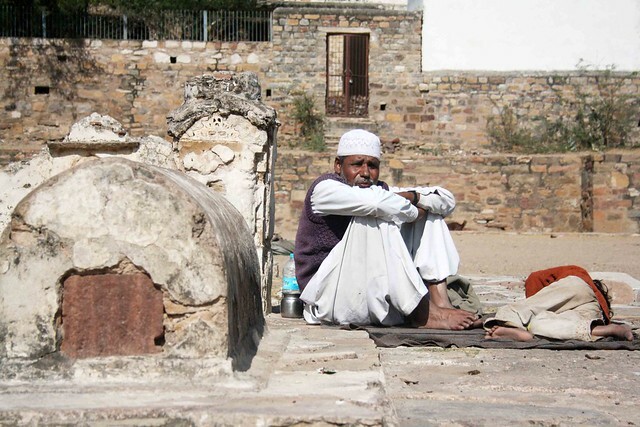 Delhi, with its numerous shrines of many Sufi orders, is rightly called the courtyard of Sufis. 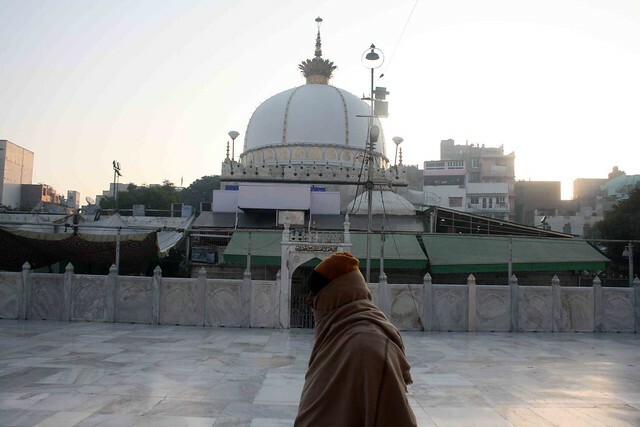 But Ajmer is the true home of Sufis. 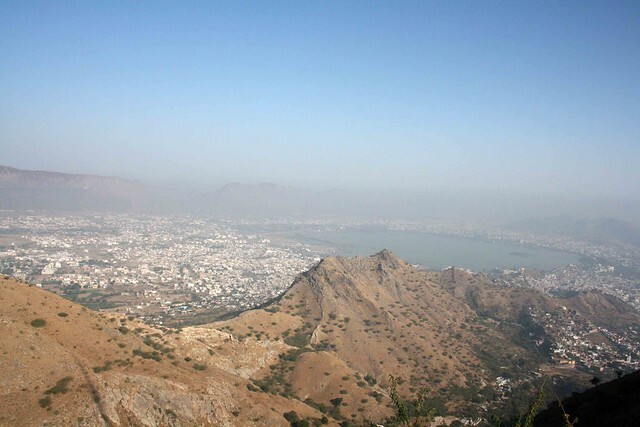 And Delhi belongs to Ajmer. 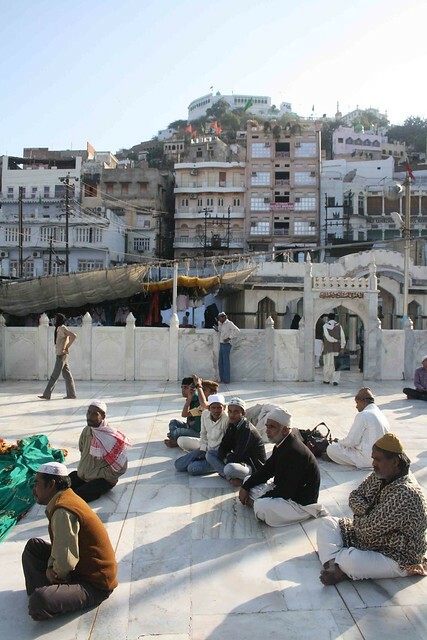 I remember my visit to Ajmer Sharif ( back when I believed in ‘all religions’ or some such hogwash). It struck me as quite filthy. 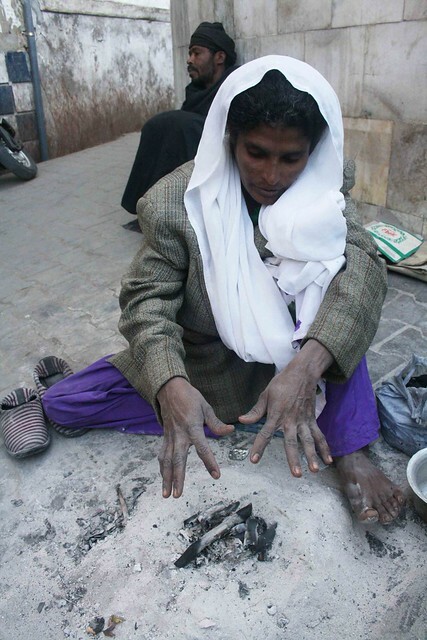 I bought lots of lobaan from the bazaar, though. 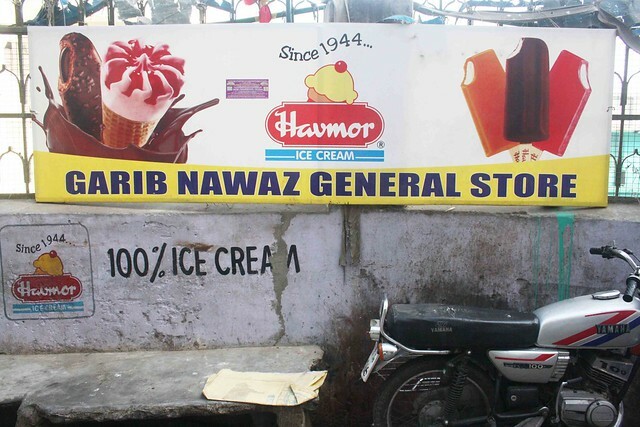 I still have some left. 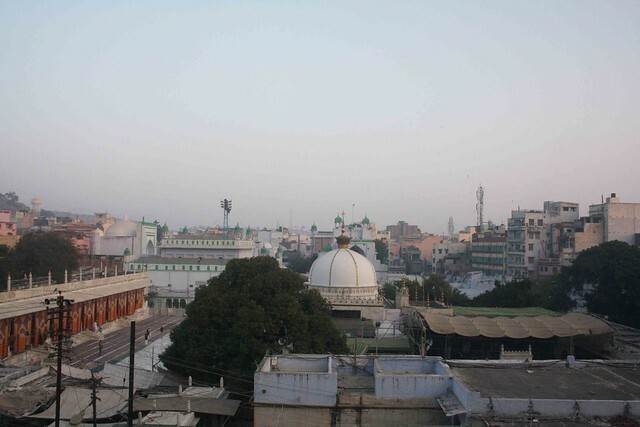 I was amazed at how similar the ‘Adhai Din ka Jhonpra’ mosque was to our Quwwat-Ul-Islam. 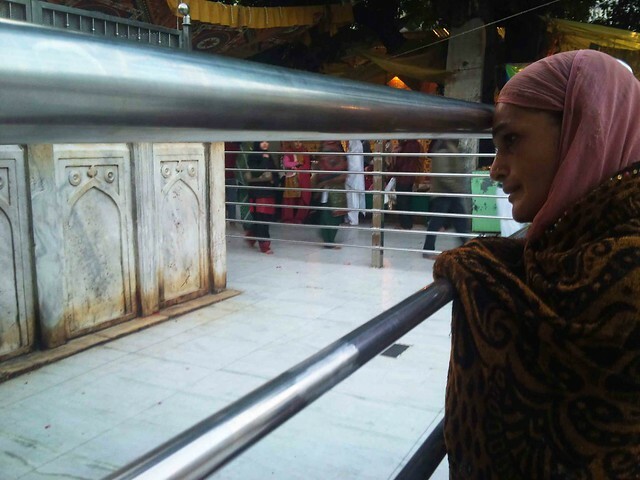 as a kid i visited the dargah but had no clue about the significance of the place.love this post and the description of the place except the last line!! Very nicely written. I thoroughly enjoyed reading this. Awesome pictures! Very well written post with some beautiful pics. 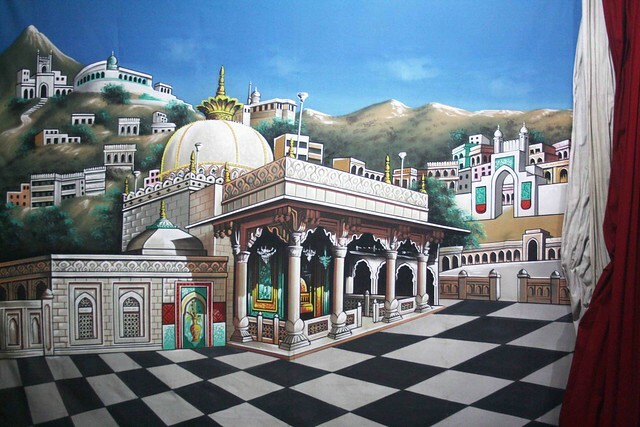 clicking photos inside the Dargah is not allowed, then how you manage to click…kindly reply..